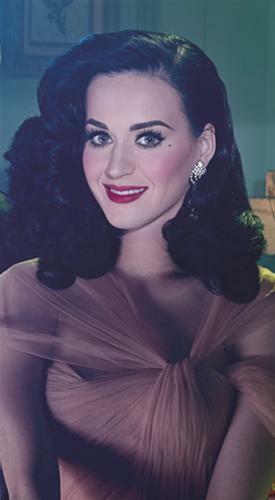 For Star Brow of the Week I chose Katy Perry, she is very “Old Hollywood” here, and it is stunning. What do I love about her look? 1. Beautiful brows are really only part of the picture, you can see that in this photo – the hair, the foundation, the lips, and her beauty mark – all help show off perfect brows. I have a $24 service called Express Brow Design that is supposed to be 10 minutes long, but in order to send perfect brows out the door, I need to fix up the rest, which can take a little (sometimes a lot) longer. 2. The arch is really stretched out here – it helps accomadate her big eyes, high cheek bones and long jaw. 3. The color and density of the brow shape are strong, which works well with the rich colored lip and blue-black hair. 4. There is perfect placement of the anatomy of the brow. 5. Her complexion and dress are very soft and peachy – nice contrast. Ten! « What is an Enhancement?